One of the main questions that torment debuting authors is: how do I build an audience for my first book before I release it? Most authors are aware that they should start building their author mailing list months in advance, they just don’t know how. Of course, that’s easier said than done, especially if you haven’t published anything yet. But it’s not impossible to do, even while you’re writing your first book. Someone who has had some success in this area is Derek Murphy. Derek has been a longtime friend of Reedsy, and been in the business of publishing for quite a few years now (check out his cool site creativindie.com). He’s a great book designer and has helped a lot of authors with their marketing efforts. Recently, Derek decided to write his first fiction book (a YA novel). But before that, he wanted to build an audience for it. 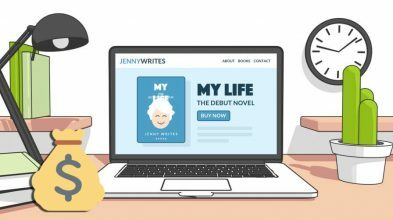 In an exclusive interview with us, he explains how he was able to build an author mailing list of 10,000 readers, from scratch, in less than a week. You can watch the full interview here, or read the post below where we condensed the information into a nice step-by-step guide (because that’s what we do!). Here's how to build an author mailing list of 10,000 readers, from scratch, in less than a week. Your first task is to set yourself up on Mailchimp. Once you have created your account, a signup form will show up. You can customise this form, share it on your author website, or any social media platforms you have. Start small, signing up friends and family and create an automated email sequence for every new subscriber who signs up. Maintain a single list of all your subscribers and segment it according to particular interest groups. This is so you can tailor your newsletters according to the prizes you have to offer. 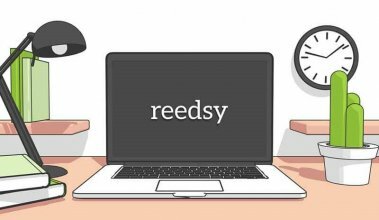 Create a warm automated email sequence that encourages readers to interact with you. In the early stages of building the author mailing list, do not give away your own work. 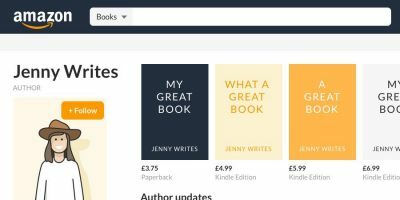 It seems self-promotional and it will be unlikely that readers will be interested as they are not aware of you as an author yet. So what can you give away to attract an audience? “I’ve been giving away packages of the ten best-selling signed books in my genre”, Derek tells us. This is also one of the techniques that allowed indie author ML Banner to reach #1 on Amazon with his first fiction book. There are several benefits to this. The obvious one is that you are giving away prizes that are genuinely sought after, so you will generate a lot of traffic. But also, you are “making friends” with other authors in your genre, and we all know how vital author collaboration can be. As Derek explains, ‘I can target best-selling author’s platforms specifically’. They can share the competition giving you access to a whole new audience. In general, any prizes that are specific to your genre are useful. It doesn’t have to be books. Derek, for example, has been giving away book shaped reading lamps! Smaller prizes could also include memorabilia, tickets, pictures, posters, anything you can think of that might appeal to people who may be interested in your genre and work in the future. There are three pieces of software which are suitable for these purposes: KingSumo, RaffleCopter and Gleam. These sites keep track of how many people are clicking on the link and signing up to the author mailing list. The softwares vary slightly. KingSumo is preferable for collecting a large amount of email sign ups quickly. Rafflecopter on the other hand encourages a wide variety of sharing techniques and is preferable for smaller contests designed for specific purposes. 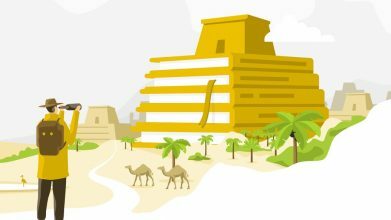 A good tactic would be to encourage a large-scale giveaway using KingSumo and then later using a smaller contest with Rafflecopter to get contestants to look at your blog and social media platforms. Gleam is a combination of the other two pieces of software. It provides a variety of ways in which a contestant can bid for prizes including referring friends for extra entries or asking contestants to write a blog post on why they want to enter the competition, which in turn can be shared. For more information on these three pieces of software, check out Derek's post on giveaways. KingSumo, RaffleCopter and Gleam are the three softwares you can use to organize giveaways. Target influential people in your genre. This is Derek’s tactic: “I made an email list of maybe 500 book bloggers in my genre and all the ‘BookTubers’ who talk about and review YA books on YouTube… those are influencers, who have the traffic and platforms already, so I email all them about the contest”. Facebook targeted advertising is another approach to consider. Drive up subscribers to your author mailing list by targeted advertising to groups, pages or people. Find genre-specific pages to post your ads on so they are shown to people who are likely to enjoy the giveaway. There are other platforms you can promote your giveaway on such as StumbleUpon’s Paid Discovery, Reddit’s advertising platform and promoted posts on Twitter. Also consider collaborating with other authors or people who are also giving away prizes. If you do a shared competition promoting both of your products, you are pooling the contacts you both have, doubling the potential for subscribers. There is some criticism of building an author mailing list through giveaways. After all, there is no guarantee that subscribers will be interested in your work simply because you are offering free prizes. So how do you create a loyal fanbase from this? Continue with smaller campaigns, particularly using Gleam or Rafflecopter that link to your author blog and websites which subscribers can read if they want to. This process needs to happen gradually as an indirect way to introduce your list to the fact you are an author. “I won’t try to sell my books to this list” says Derek. “I’m mainly using it for free downloads and book reviews. If I can give away a thousand copies of my book [to his mail list] and I give them a reason to go download it and review it I can probably get a couple hundred reviews in the first couple days of my launch”. Reviews are essential for the successful marketing of a book. "You need to be getting thousands of downloads to get hundreds of reviews". You cannot achieve this if you start charging for your book too early as a first-time author. Your giveaway subscribers won't be receptive to the 'hard sell'. Build a relationship with them first. Send out a monthly newsletter to your author mailing list, such as ‘My top 10 [genre specific] books for December 2015’ so contestants keep opening your emails. Give a brief review of each one and an Amazon link where they can buy the book. This will also provide you with cash flow through the Amazon affiliate program. Eventually, contact your list telling them there are no more giveaways. This will be a way of finding out where your true fanbase lies. Even if the majority of people unsubscribe to your emails, the aim would be to have 1,000-2,000 people who are genuinely interested in your work who will be willing to buy your books in the future. 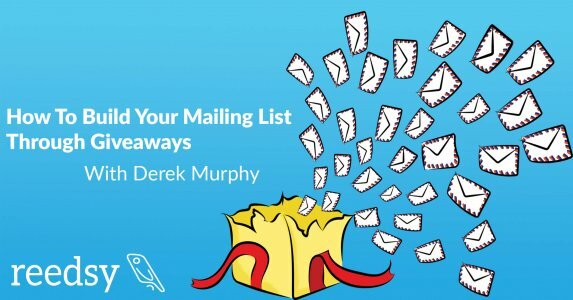 Eventually, clean up your list by telling your subscribers there are no more giveaways. There’s one thing we haven’t mentioned yet: costs. Giving stuff away is not free, all the more if you’re promoting the giveaway through advertising. Derek’s campaign costed him around $600-700 (full breakdown here). This sounds like a lot. However, it is not uncommon for authors to spend this amount on marketing with no clearly defined results over a much longer time period. The difference with this approach is after the initial costs, you can instantly reconnect with your subscribers for free in the future. 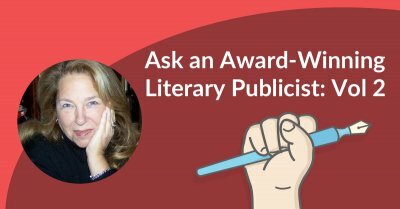 As we say in the interview, “you build your own personal Bookbub list”. What are your strategies for growing your author mailing list? Have you ever tried giveaways? Let us know about your experiences, or ask Derek any question, in the comments below! How to Run a Price Promotion. 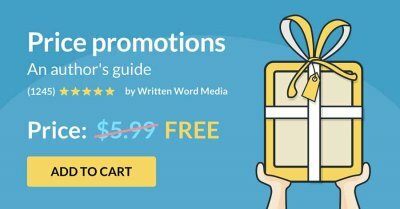 Learn why price promotions are one of the most effective forms of book marketing. 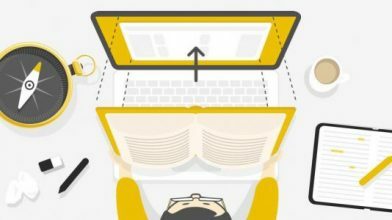 If you're looking to find new readers, gain more reviews, and increase sales, this course is for you! Good interview. Quick note to Ricardo: You've really upped Reedsy game these past few months. This blog is going on my "must read list," particularly now because I'm launching the third book in my espionage series, Black Mesa: The Final Report. That said, down to business. Maybe I missed it, but I'd love to take Derek back in time to have him think through his effort to gain the first 10 people (not family or friends) for his email list, the next 20, 50, 100. I suspect these numbers reflect growth stages. Did Derek's strategy change as the numbers grew, and at what point did the change take place (how many emails added to the list)? As the I Ching says, "Difficulty at the beginning." It's those first few email correspondents that make all the difference. Can you recall, Derek, how you did it? Finally, was there a "catch fire" moment for you? Thank you for your time. Great interview. I look forward to more.